Steak is the star at Georgia James. Photo by Julie Soefer. No dish more accurately reflects Houston’s guns-and-oil heritage than the almighty Texas steak. Whether pan-fried, broiled or sous vide then seared, steak represents both quintessential American fine dining and a cultural throwback to the state’s cowboy days. It is, therefore, the most fitting dish to kick off this new weekly series about Houston’s essential dishes and our picks for where to eat them. From the days of $12 sirloins and big hair, to the streets of modern-day East End and Little Saigon, The Essential Dishes of Houston is a detailed epicurean history of the Bayou City. Long before this city could respectfully call itself a food town, Houston was famous for its many steakhouses. These were dimly lit affairs in simpler times, decorated with steer horns and cowhides. These were long gone places like Bud Bigelow’s and Look’s Sirloin Inn, where patrons wore ten-gallon hats and washed down dinner-plate-sized ribeyes with bourbon and cigars. Today, Houston’s best steakhouses take a more refined approach to the art of cooking beef. One of the best current examples of that is Chris Shepherd’s Montrose steakhouse, Georgia James. Though only recently opened, the elegant southern kitchen quickly took its place among Houston’s most prestigious steakhouses. It’s a restaurant representation of what Shepherd grew up eating and the food he cooks at home today. Steaks are seared on cast iron and hearty sides are served alongside. There’s also plenty of Gulf seafood. Even so, the steaks still take center stage. This is especially true of the $150 long-bone ribeye. A 100-day dry-aged cut of 44 Farms ribeye cooked and basted in a cast iron pan. If the thought of paying over $100 for a piece of American beef cooked on an iron pan like common ranch fare makes diners raise a suspicious eyebrow, that’s understandable. However, like Tokyo’s master sushi chefs, Shepherd uses seemingly ordinary ingredients and rustic techniques to create wonderfully complex dishes that continue to earn their price tag. While Georgia James is one of Houston’s newer beef-centric restaurants, none are more iconic or representative of the city’s steakhouse culture than Pappas Bros. Steakhouse. The Pappas family’s line of restaurants dates back to 1976 and they now have over 80 around the country. 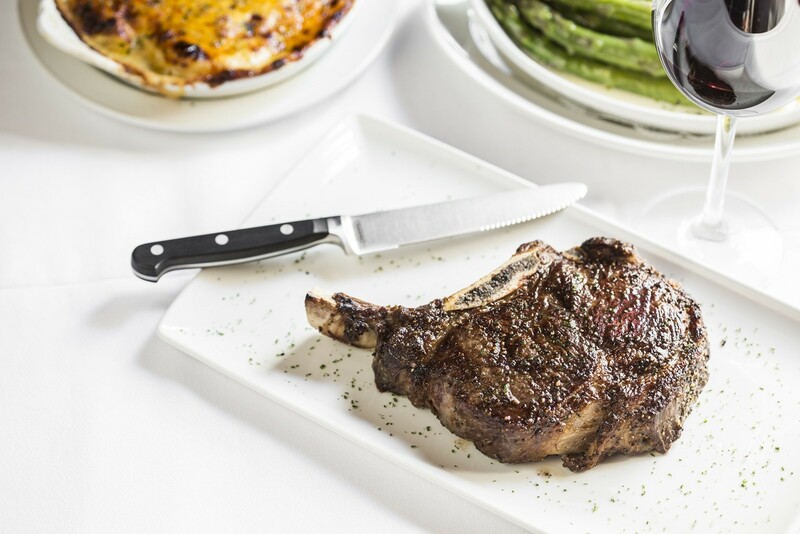 The original Pappas Bros. Steakhouse on Westheimer is the beating heart of that enduring family legacy and the steaks are beloved by both Houston regulars and visitors from far away. The 32-ounce New York Strip, for example, ranks third on Food Network’s list of top five steaks in America. Rounding out its features is the 40,000 bottle wine cellar (curated by a team of studious sommeliers, including master sommeliers Jack Mason and the recently minted Steven McDonald) and the elegant yet outdated dining room reminiscent of a mafia movie set. This steakhouse is the real deal. Gather friends or business associates and order a magnum of cab and the biggest steak on the menu — this is Texas, baby. Another essential Houston steakhouse setting the standard for beef programs is Washington Ave’s B&B Butchers. The brainchild of restaurateur Benjamin Berg, B&B is part artisanal butchery, part world-class steakhouse. 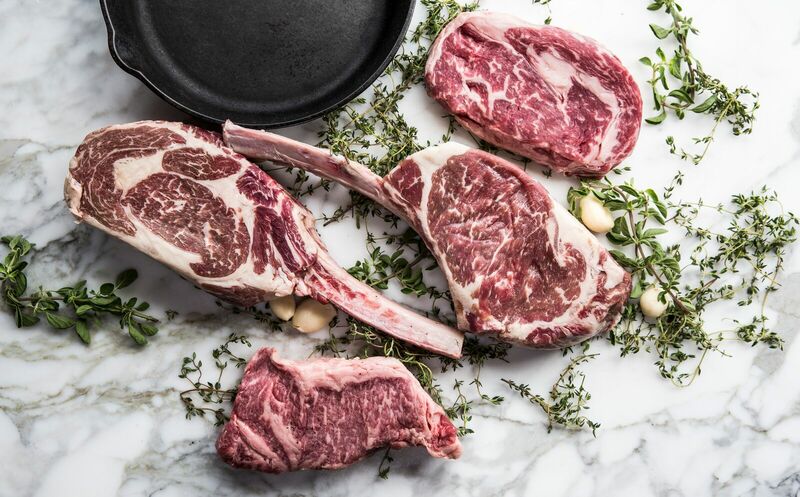 Famous for its wide array of incredible beef cuts, B&B boasts a selection of rare “cellar cuts” that include 55-day dry-aged Japanese Wagyu and A5 Kobe valued at a pricey but understandable $220 per four-ounce cut. The two-story industrial brick building also houses a selection of Texas Wagyu and in-house dry-aged USDA prime. B&B may not have the history of Pappas or the James Beard pedigree of a Chris Shepherd joint, but its claim to fame is in its unparalleled beef selection. Berg’s success can be attributed to the tremendous level of care taken in the curation of his butchery program. This is a restaurant designed by and for beef lovers. Along with B&B, a second Houston steakhouse was recently named on Thrillist’s 31 Best Steakhouses in America. Killen’s Steakhouse in Pearland is the second in Ronnie Killen’s current line of beef-centric eateries. The steakhouse bearing the name of its Le Cordon Bleu trained owner is the culinary pride of Pearland, playing a significant role in the town’s burgeoning food scene. Much like Georgia James, Killen’s menu impresses with more than steak. Dishes like the smoked Kurobuta pork chop with butter-bourbon pecan glaze would put the restaurant on plenty of “best of” lists on their own merit. Yet, like B&B, Killen’s acclaim is in its beef program. One that includes wet and dry-aged cuts as well as Japanese, domestic and Australian Wagyu. Houston boasts hundreds of praiseworthy steaks and many of the world’s best steakhouses. These four establishments, with different approaches and varying levels of history, represent the past, present and future of Houston fine dining, yet are just a few of the many excellent choices. Others include Brenner’s on the Bayou, Taste of Texas and Vic and Anthony’s as well as out-of-town names like Del Frisco’s and Fleming’s. 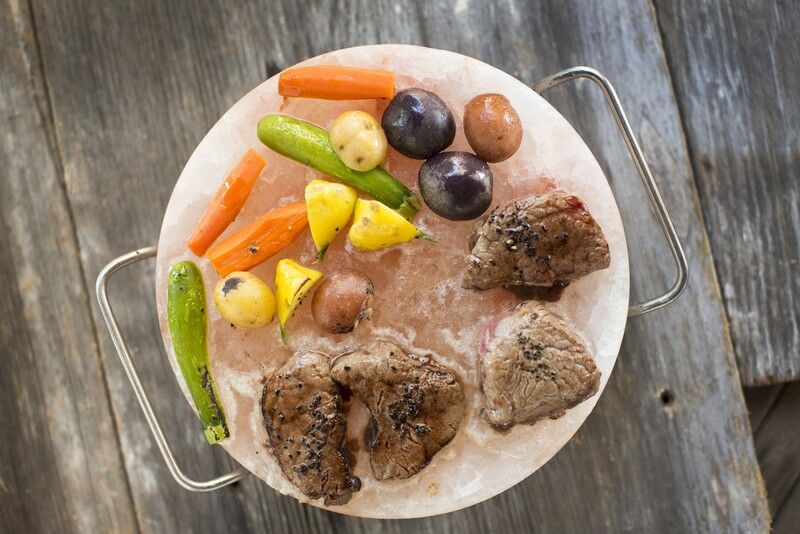 Steak remains the foremost culinary symbol of Texan wealth and success and is as essential to Houston dining now as it was in the cattle drive days.